The Aces (6-11) played their best basketball of the season to beat the Sparks on Friday night. Can they do it again for the second time in three days? 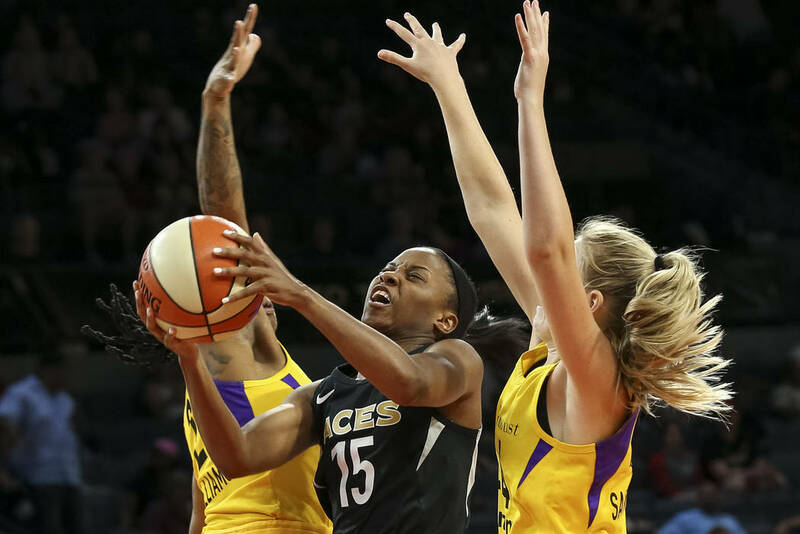 About the Aces: The Aces (6-11) played their best basketball of the season to beat the Sparks on Friday night. Can they do it again for the second time in three days? A’ja Wilson had 29 points and nine rebounds in the first meeting, and is the front-runner for WNBA Rookie of the Year — averaging 20.7 points and 8.9 rebounds. Kayla McBride is emerging as the team’s emotional leader and one of the league’s best two-guards, and is averaging 18.3 points while shooting 42.3 percent from deep. The Aces’ bench has struggled for most of the season, but provided a lift Friday by scoring 28 points on 10-of-16 shooting. About the Sparks: Los Angeles (11-5) still has the second-best record in the WNBA in spite of its loss to Las Vegas on Friday night. Candace Parker scored seven points against the Aces, but is averaging 16.8 points, 6.7 rebounds and 4.1 assists this season. Combo guard Chelsea Gray made four 3-pointer against Las Vegas en route to 22 points, and is averaging 15.2 points per game. Nneka Ogwumike has missed the last two games with a back injury, and the Sparks sorely missed her 16.2 points and 7.4 rebounds. More Aces: Follow our Aces coverage at reviewjournal.com/aces and @RJ_Sports on Twitter.